← Grand test de roues 2 || Great wheel test 2. 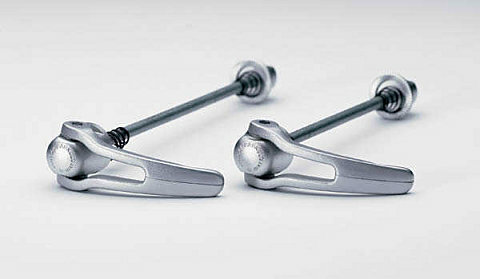 Campagnolo® presents this year three new 10s chains : Record Ultra Narrow™, Chorus Ultra Narrow™, Veloce Ultra Narrow™ . All versions are 5.9-mm wide and thanks to this dimension, they are lighter and quieter and the adjustment of the rear derailleur is facilitated. The Ergopower Flat Bar™ shifters feature a completely renewed mechanics. A new indexing mechanism that makes shifting noticeably easier and allows the rider to upshift and downshift several gears at a time. The Ergopower Flar Bar™ shifter’s design is the same as last year, this means that shifter and brake lever are integrated into a single component, thus providing maximum lightness and a compact and appealing look. The Ergopower Flat Bar™ shifters are available in the Chorus™, Centaur™, Centaur Grey™, Veloce™ and Mirage™ versions for Dual Pivot brakes and in the Veloce™ and Mirage™ versions for Linear Pull brakes. 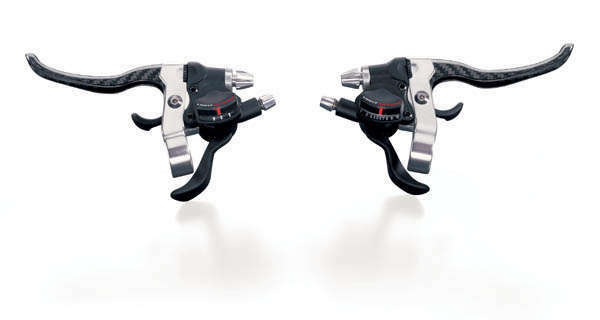 For 2006 Campagnolo® is presenting its first Linear Pull Cantilever™ brakes with arms 85 mm long. The brake is powerful and precise in both dry and wet conditions thanks to the special pads designed specially for this brake. The compound has been tested to guarantee constant performance, even with worn pads. This is a different compound from that for dual pivot brakes but it provides the same guarantee of non-incorporation of particles of aluminium when braking. This means not damaging the braking track on the rim and maintaining pad performance even longer. Pad adjustment is orbital to ensure the ideal position in contact with the rim. The pad is coupled to the brake shoe by means of a patented system. The special design of the two components enables the brake pad to be first inserted frontally and then to be housed by being pushed until it comes up against the stop, as is already the case with the brake pads for Caliper brakes. 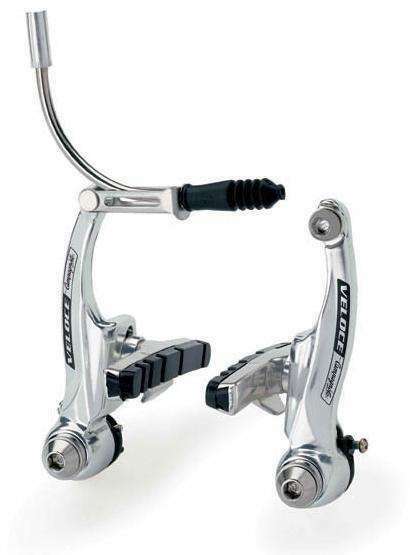 Linear Pull Cantilever™ brakes are available in Veloce™ and Mirage™ versions only. 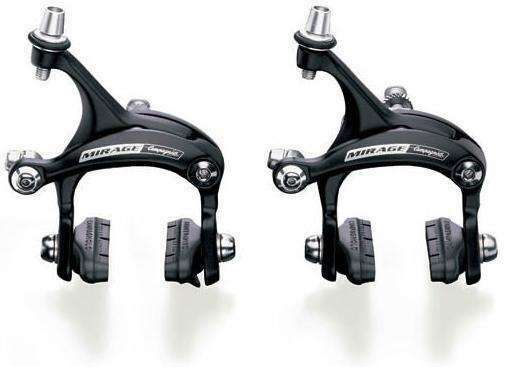 The entry-level Dual Pivot brakes are now 10% lighter than the previous version, weighing just 340 g.
The pads are made from a Record TM class compound that ensures progressive braking power even when the pads are worn. Our laboratory tests, run on competitors’ products, have shown that the braking performance of these brakes is 50% better on dry surfaces and 60% better on wet surfaces. These results are even more amazing when one considers that brake pad noise and wear have considerably diminished. Available in the Xenon™ and Mirage™ versions . 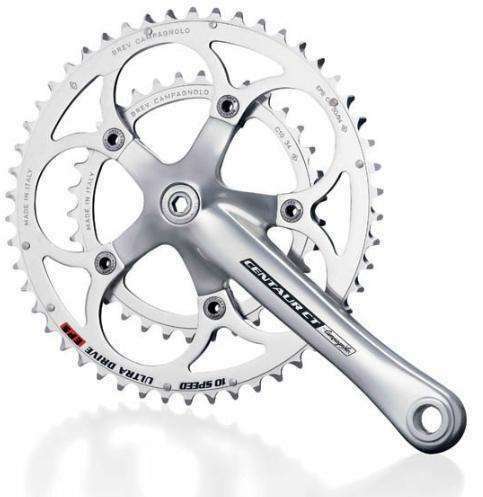 The 2006 range includes compact aluminium cranksets dedicated to Centaur™, Veloce™ and Mirage™ Groupsets. CT cranksets will be available with 34-50, 36-50, 34-48 chainrings for the Centaur™ model and with 34-50 and 34-48 chainrings for the Veloce™ and Mirage™ models. The specialized sector chainrings are recognizable by the eight pins, that is by the special finishes designed to make the chain lift up and descend always at the most effective point. Tests run at our laboratories have shown that shifting is 19% faster than with the previous 6-pin version. Campagnolo® is presenting a new under-shell plate made from a special anti-friction material. The new design and the elasticity of the material permit better coupling with bottom bracket shells, even with those of the oversize type. The special antifriction material reduces cable friction by 50% and the actuation force by 12.5%. Campagnolo ® presents a new bottle that has been revolutionized in terms of design, ergonomics and materials. The elongated neck has a conical shape for a better grip. The conical shape is also found at the bottom of the bottle to enable it to slip into the bottle-holder more easily. It features a screw top with a strap to prevent the annoying leaks of liquid that with normal bottles inevitably soil the frame. It has been made from raw materials that are certified as being suitable for contact with liquid foodstuffs that may also be slightly acid or alcoholic. It is available in two versions: 500 and 750 ml. 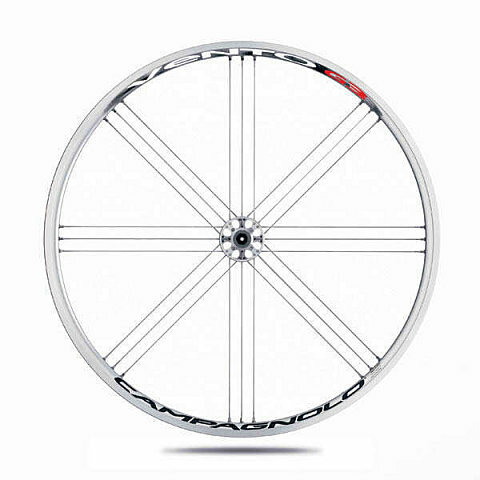 Vento ™ 2006, the entry-level wheels of the medium-profile range, immediately make themselves noticed by the 230g weight reduction compared with the previous version. 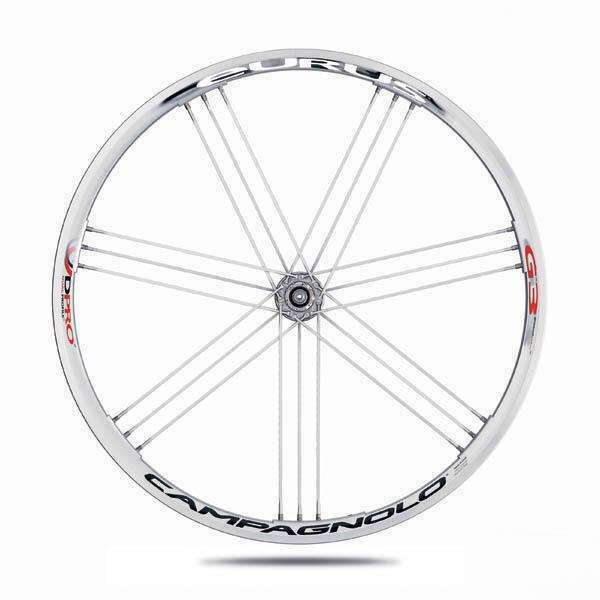 The aluminium rims have a 24 mm medium-profile extrusion. 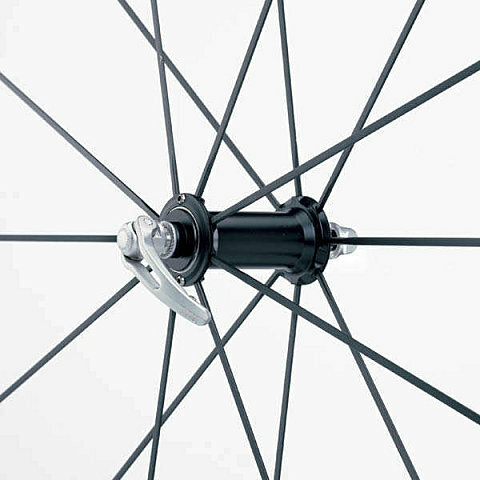 Spoking is 8×3 G3™ on the front and 9×3 G3 ™ on the back wheel. The spokes are in 2-1.5 butted stainless steel. Two special oversize spokes have been inserted into the back and front wheels in the section opposite the joint. In this way their weight balances the weight of the joint to achieve perfect wheel balance during rotation. The hubs have oversize bodies and flanges and are fitted with hi-precision bearings. The freewheel body and the pawl carrier are housed in a single aluminium part for maximum lightness. Only available as silver color. The Scirocco ™ 2006 wheels have not only been given a new look but are also a full 91 g lighter. The aluminium rims feature a 24-mm profile extrusion. 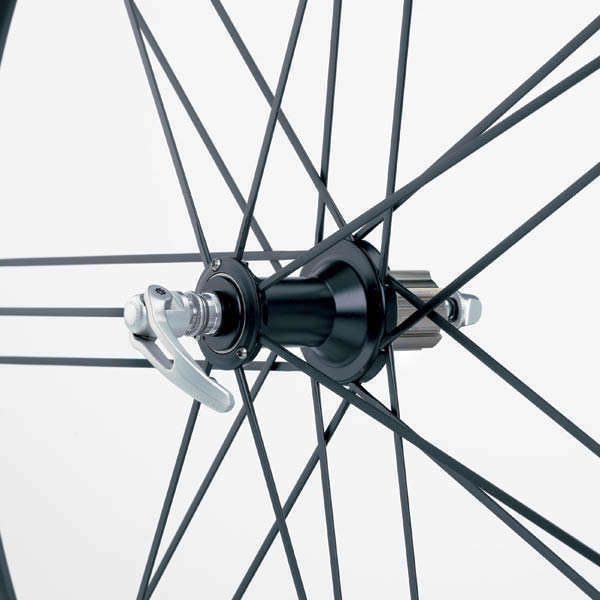 Radial spoking has been used for the front wheel and 9×3 G3 ™ spoking for the rear wheel. The spokes are in 2-1.5 butted stainless steel. There are two special oversize spokes on the front and rear wheels in the section opposite the joint. In this way their weight balances the weight of the joint during rotation, so that a wheel with perfect dynamic balance is obtained. The hubs have oversize bodies and employ hi-precision bearings for maximum smoothness. 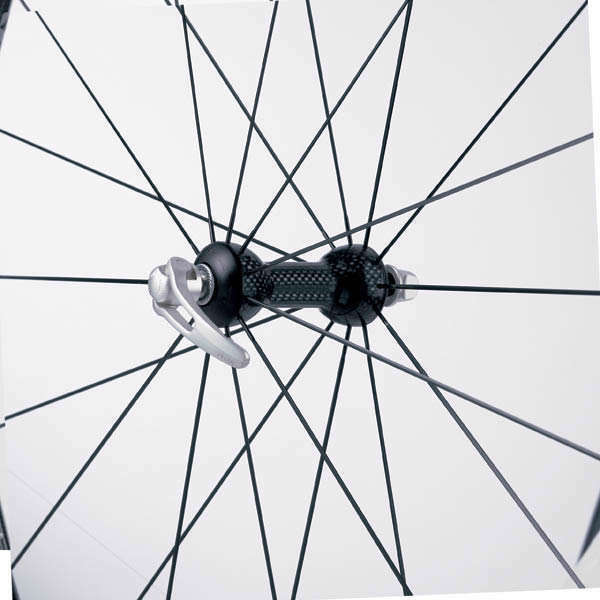 The freewheel body and the pawl carrier are housed in a single aluminium part for maximum lightness. Only availables as silver color. 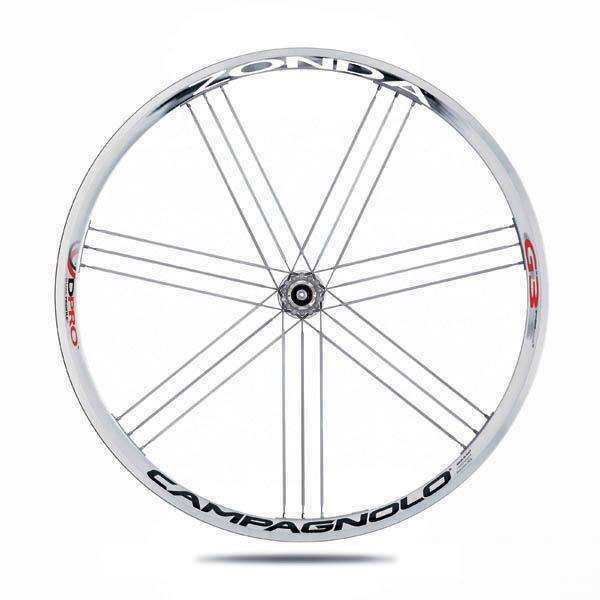 The Zonda ™ 2006 wheels have been restyled and weigh just 1,630 g, a full 100 g less than in the previous version. 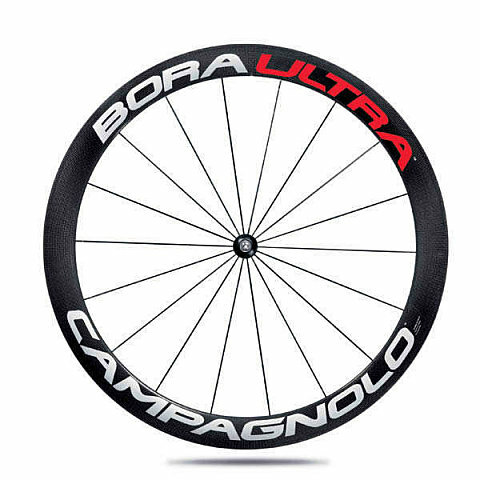 Campagnolo® is this year introducing the concept of a differential profile for the Zonda ™ and Eurus ™ models, i.e. a 26-mm extrusion profile for the front rim and a 30-mm extrusion profile for the rear rim . Tests run at our laboratories have shown that this is the solution that currently provides the best results in terms of performance and reliability. This solution in fact gives a light and very steerable front wheel and a stiff rear wheel that maximizes the transmission of the rider’s leg power. 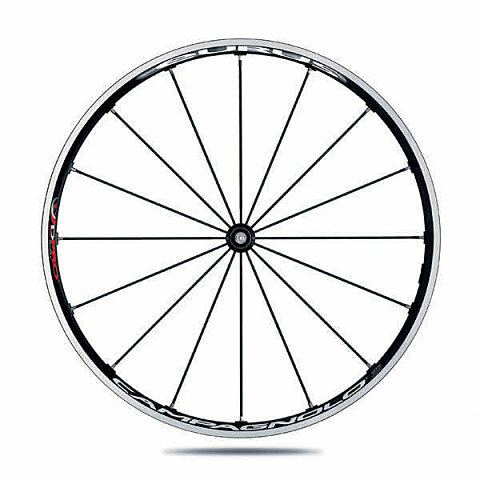 Both rims have been lightened between the zones in which the spokes are inserted, i.e. the section of the rim where diameters can be reduced without diminishing solidity. Special milling in the section opposite the joint ensures dynamic balance during rotation of the wheel and prevents a « jump » being felt at high speeds. Both rims have a top bridge that is free of holes . 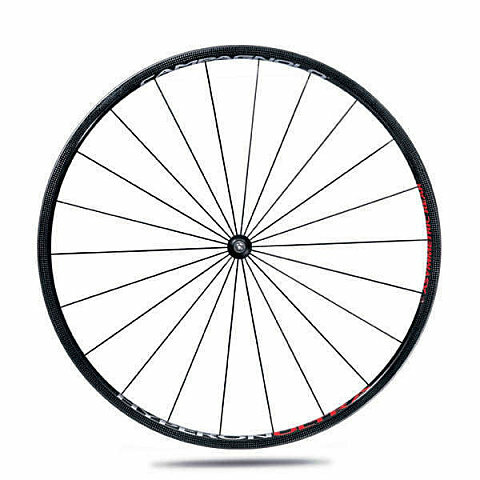 This means weight saving because rim tape does not need to be fitted and gives the wheel greater torsional stiffness and vertical elasticity. 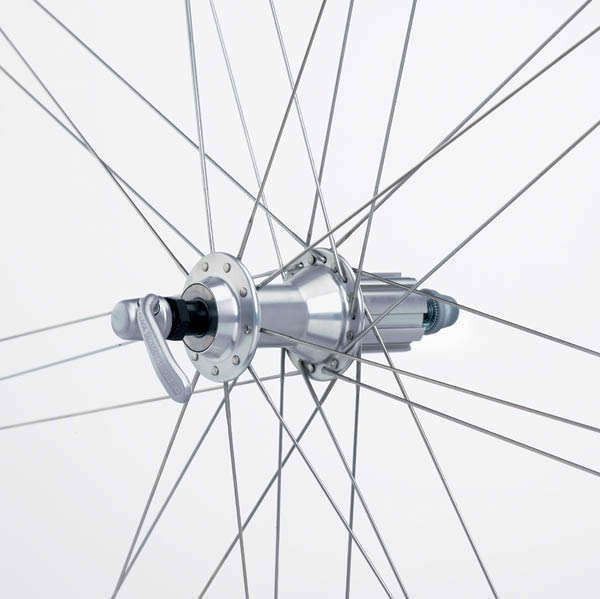 The ultra aero stainless-steel butted spokes are arranged radially on the front wheel and the rear wheel has G3 ™ spoking. The rear rim has asymmetrical holes to improve wheel dish. The hubs are oversize with aluminium axles and self-aligning bearings. The flange of the rear right-hand hub is oversize to increase torsional stiffness. Zonda ™ hubs also use the new freewheel body and pawl carrier housed in a single aluminium part for maximum lightness. Availables as black or silver colors. Eurus ™ 2006 wheels have been completely restyled and are really light, weighing just 1,510 grams. Campagnolo is this year introducing the concept of a differential profile for the Eurus model, i.e. a 26-mm extrusion profile for the front rim and a 30-mm extrusion profile for the rear rim. Tests run at our laboratories have shown that this is the solution that currently provides the best results in terms of performance and reliability. This solution in fact gives a light and very steerable front wheel and a stiff and responsive rear wheel. 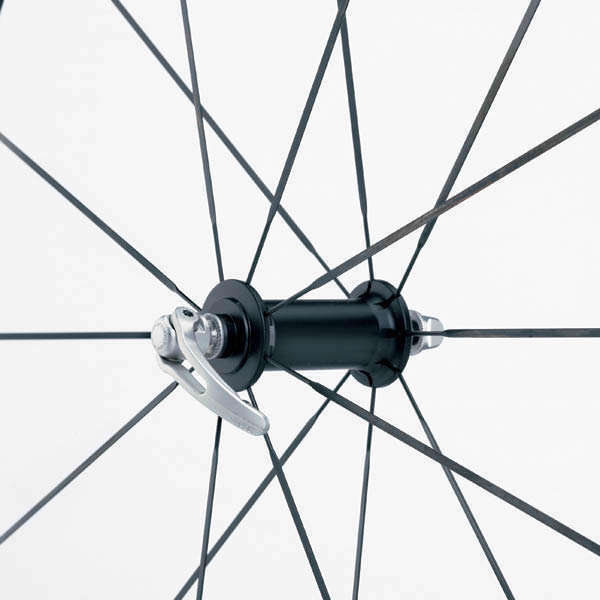 The rims have been lightened in toroidal form between the spoke insertion zones, i.e. in the section of the rim where diameters can be reduced without lessening the solidity of the structure. Special milling in the section opposite the joint ensures dynamic balance during rotation of the wheel, a new concept enriching this year’s range. The rims have a top bridge that is free of holes . This means considerable weight saving – because there’s no need of fitting any rim tape – and gives the wheel greater torsional stiffness and vertical elasticity. 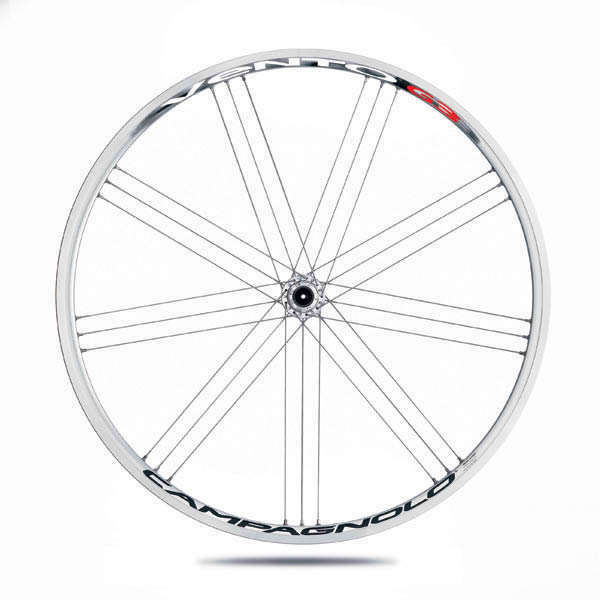 The ultra aero aluminium butted spokes are arranged radially on the front wheel and the rear wheel has G3 ™ spoking. The rear rim has asymmetrical holes to improve wheel dish. 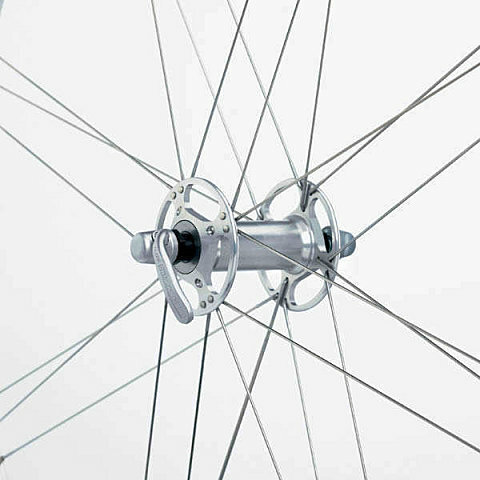 The aluminium hubs are oversize with aluminium axles and self-aligning bearings. The flange of the rear right-hand hub is oversize to increase torsional stiffness. Eurus wheels use the new Campagnolo aluminium freewheel body and pawl carrier housed n a single part, thus achieving a notable weight reduction. 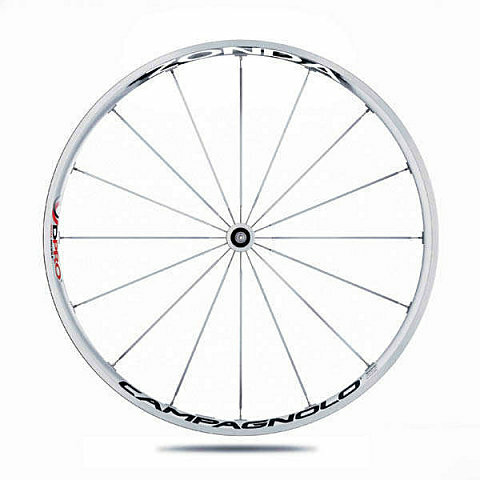 Eurus ™ wheels are available in the silver and black versions and are compatible with Campagnolo® and HG drivetrains. Availables as silver or black colors. 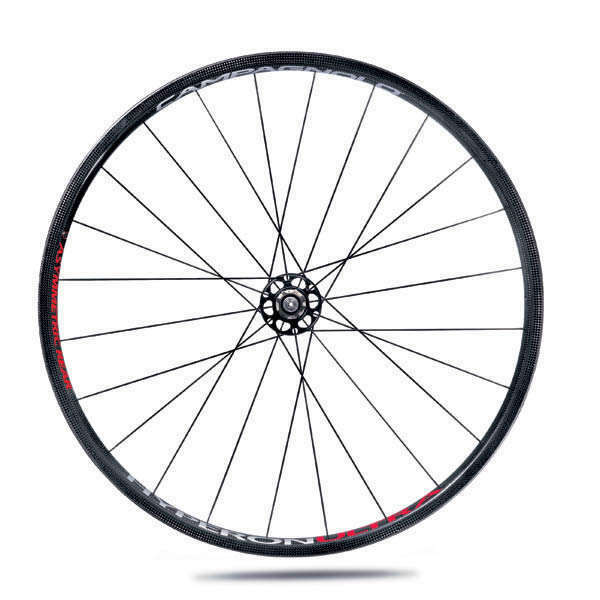 The Hyperon Ultra™ have undergone several technical enhancements, particularly at rear hub and balancing level. The rear hub sees the appearance of an 80 mm oversize flange and the freewheel body which integrates the pawl carrier. The new flange improves the rear wheel dish and considerably increases the wheel’s transmission capacity. Balancing has been improved thanks to oversized spokes positioned in the section opposite the valve, which balance the wheel during the rotation dynamics. Like the Hyperon Ultra™, the Bora™ Ultra will incorporate dynamic balancing. Oversized spokes in the section opposite the valve balance the wheel during the rotation dynamics. High range wheelset will get those news quick releases, 21 gramms lighters that the current version.